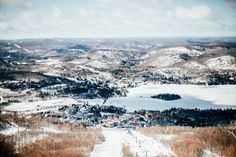 Festi-Neige Sainte-Agathe-des-Monts: the Laurentians’ Winter Celebration! From January 17 to February 15, 2015, Sainte-Agathe-des-Monts celebrates winter, with five consecutive weekends of awesome festivities for the young and young at heart! 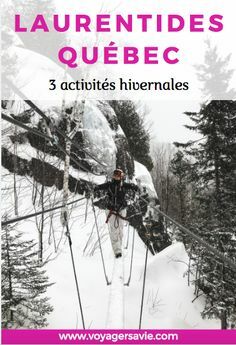 Slides for everyone, 1-km ice ring on the lake, skating rink for hockey fans, 4-km hiking trail on Lac des Sables, an adventure course for kids and many more free activities are scheduled during the course of the Festi-Neige! Access to Festi-Neige is free; a pass is required for certain activities. This year, a new activity for adrenalin enthusiasts: a 300-meter zipline, provided by Tyroparc! 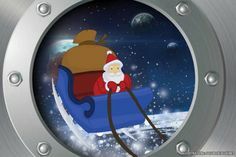 Only $6 per run, in addition to the Festi-Neige pass, an unforgettable experience! Participants must run a team of horses on an obstacle course as fast as possible. There are at least two qualification rounds. Horse lovers will be delighted to visit the stables on Saturday, from 3 to 4 p.m. Everyone can take a sleigh ride and there will be pony rides in the carousel for the little ones, between noon and 3 p.m.
For the second weekend, there will be kites, magnificent snow sculptures, a fishing tournament and fishing initiation for kids 12 and under. At your fishing poles, outdoor enthusiasts! Who will catch the biggest fish? All sorts of competitions take center stage during the third weekend! You can attend a professional lumberjack competition, freestyle snowmobile competition and a snowskate and Fat Bike competition, plus demonstrations by professionals! The whole family will be amazed! Saturday, February 7th is the perfect time to explore wintertime outdoor fun: a national snowshoe race will be held, as well as an introduction to winter camping. 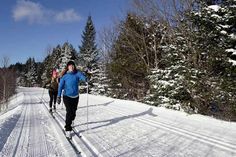 Free access to snowshoeing trails for Festi-Neige pass holders. What better way to end to this winter festival than an extreme obstacle course in teams of four? For the most daring, there will even be a dip in the lake! The Festi-Burger event will also be taking place throughout the whole festival! Chefs from restaurants all around town will create a burger representing their restaurant. Each Festi-Burger purchase will give you the chance to win a thousand Festi-Neige dollars! Will you be the lucky winner? This beautiful winter magic will take place at Place Lagny, in Sainte-Agathe-des-Monts. See you there! Lots of smiles and lasting memories await!